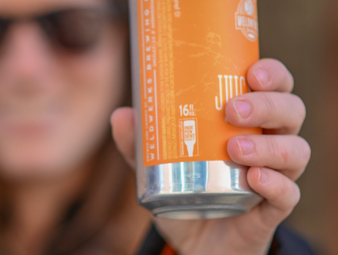 Beer lovers want to support small and independent craft breweries with their dollars. 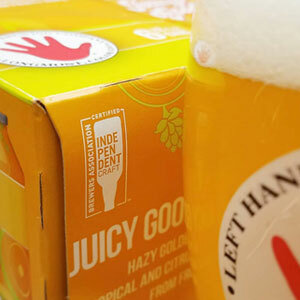 Help them identify your brands by adding the independent craft brewer seal to your brewery branding. 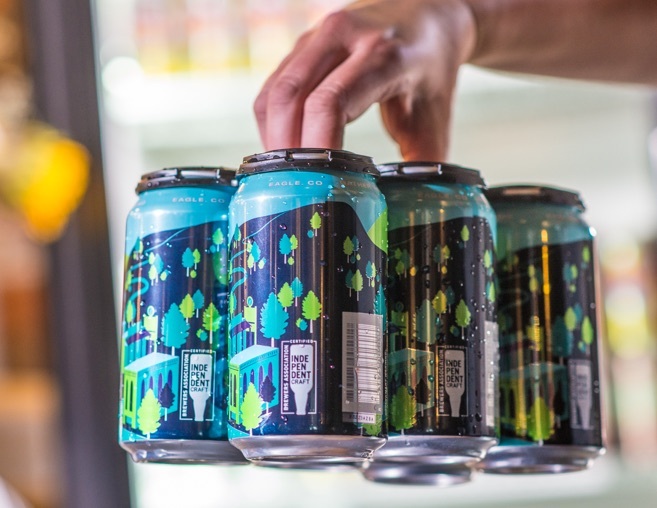 *Packaging breweries: No COLA changes required. 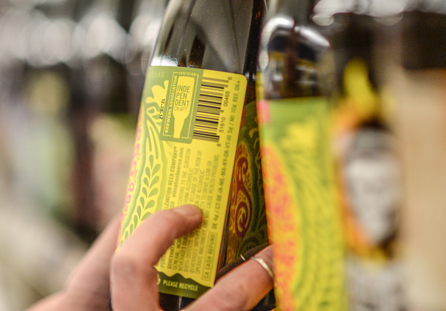 The Brewers Association has written acknowledgment from the Tax and Trade Bureau (TTB) that a revised Certificate of Label Approval (COLA) will not be needed for label changes where the addition of the independent craft brewer seal is the only substantive change. 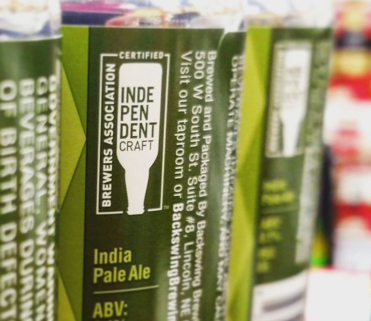 The independent craft brewer seal is a certification mark that identifies truly independent craft. Over 85% of all independent craft volume has already joined the movement and signed up to use the seal. Independent craft beer is purchased by more people, more frequently and more is spent per purchase vs. Big Beer acquired brands. The seal identifies independent craft and steers consumer behavior. Beer lovers who have seen the seal are 77% more likely to value independent ownership when buying beer.Data sourced from the Sterling Rice Group, 2018. 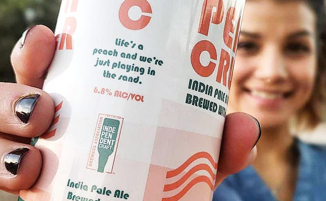 55% of weekly craft drinkers say that they would be “much more likely” or “somewhat more likely” to purchase a brand that had a “made by an independent brewer” seal.Data sourced from the Nielsen Company, 2018. Have a valid TTB Brewer’s Notice. 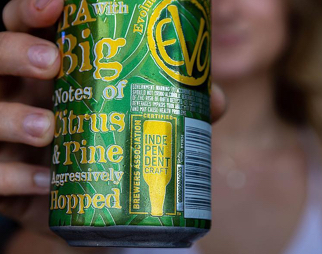 Meet the Brewers Association’s craft brewer definition. Sign the licensing agreement (access by providing your email below). Check here to indicate that your brewery meets the qualifying criteria and to be taken to the licensing agreement. The Brewers Association updated this license agreement on 12/21/18. Craft brewing companies who signed the previous license agreement do not need to sign the revised version. 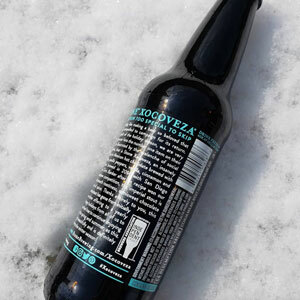 This license agreement (the “Agreement”) is between Brewers Association, Inc., a Colorado corporation (“BA”), and the Licensee, designated below in the signature block (“Licensee”), and is effective as of the Effective Date (defined below). BA defines certain brewers as “Small and Independent American Craft Brewers” if they meet specific criteria set by BA and provided at www.BrewersAssociation.org (together, the “Criteria”). Brewers may submit a request indicating that they meet the Criteria to become eligible to use the Seal. BA owns all right, title and interest in and to the BA SMALL AND INDEPENDENT AMERICAN CRAFT BREWER SEAL and all associated names and logos (together, the “Licensed Marks”). BA desires to grant limited, non-exclusive licenses to certain breweries (including Licensee) to use the Licensed Marks solely in connection with the advertising, marketing, and sales of beer products (as defined by the Great American Beer Festival® requirements) brewed at the breweries that meet the Criteria (the “Products”). For clarity, beer products marketed or sold under a brand name not owned (either directly or through an affiliate within the brewery’s controlled group as defined by the BA bylaws) by a qualifying, certified independent craft brewery do not qualify as Products under this Agreement and may not bear the Licensed Marks, regardless of whether the producing brewer would otherwise meet the Criteria. 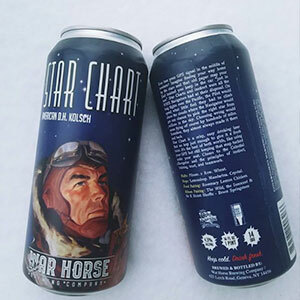 For example, private label beers sold under a brand name owned by a retailer, or beers sold under brand name owned by a non-brewer celebrity or a distributor, do not qualify as Products and may not bear the Licensed Marks on their label. EFFECTIVE DATE. This Agreement is entered into and executed upon BA’s approval of eligibility via email or other web-based communication (the “Effective Date”). GRANT OF LICENSE. BA grants to Licensee a limited, non-transferable, non-assignable, and non-exclusive worldwide right and license to use the Licensed Marks on product labels, product packaging and print and electronic media solely in connection with Licensee’s Products, including the advertising, promotion, and sale of Products (and related merchandising), during the Term (defined below in Section 3). RIGHT TO SUBLICENSE. Licensee has a limited right to grant a sublicense to use the Licensed Marks only to third parties with which Licensee has contracted to advertise, promote or market the Products (“Approved Sublicensees”). Licensee agrees that it will require all Approved Sublicensees to agree in writing to all terms and conditions necessary and appropriate to protect BA’s right, title and interest to the Licensed Marks, which will include, but not be limited to, all applicable terms and conditions of this Agreement and will also provide that BA will be a third party beneficiary of each such sublicense. RESERVATION OF RIGHTS. BA reserves all other rights in and to the Licensed Marks. TERM OF LICENSE. The initial term of this Agreement is one (1) year, and it will automatically be extended for successive one (1) year renewal terms, unless terminated earlier by BA. OWNERSHIP OF LICENSED MARKS. Licensee agrees that BA owns the exclusive right, title and interest in and to the Licensed Marks, agrees that it will not represent in any manner that it has any ownership in the Licensed Marks, and acknowledges that all uses and resulting goodwill, including any additional goodwill that may develop because of Licensee’s use of the Licensed Marks, will inure to the benefit of BA. Licensee has no right to modify or change the Licensed Marks without the prior written consent of BA. Licensee agrees that its use of the Licensed Marks will comply with all applicable laws, rules and regulations. Licensee will not at any time challenge or impair BA’s rights in the Licensed Marks. Licensee will uphold BA’s good name, preserve BA’s reputation, and protect BA’s rights in the Licensed Marks during the Term. During and after the Term, Licensee agrees and warrants that it will not infringe or cause the infringement of any marks similar to the Licensed Marks. COMPLIANCE WITH STANDARDS. Licensee agrees to comply with the Criteria and any other standards set by BA (including but not limited to the Brewers Association Marketing and Advertising Code and Seal Style Guidelines, both published on BrewersAssociation.org) (together, the “Standards”) and incorporated herein by reference, and with any changes or modifications thereto. BA will provide Licensee with prior written notice of any such changes or modifications. Licensee will have six (6) months after receiving notice of any such changes or modifications to comply with the changes. Licensee agrees to immediately correct any use of the Licensed Marks that BA regards as failing to comply with the terms of this Agreement or the Standards; all such corrections will be at Licensee’s sole cost and expense. QUALITY CONTROL. All use of the Licensed Marks will be in keeping with the reputation of the BA and will comply with the Standards, and any other quality standards set by BA from time to time. Licensee agrees to provide representative samples of its use of the Licensed Mark to BA upon BA’s reasonable request. NOTICE OF INFRINGEMENT. Licensee will promptly notify BA of any unauthorized use, infringement, or dilution of the Licensed Marks. Licensee will cooperate with BA and take any action necessary to prevent the unauthorized use, infringement or dilution of the Licensed Marks. BA will have the sole right to take (or determine not to take) any action it deems appropriate with respect to any unauthorized use, infringement or dilution of the Licensed Marks. if Licensee challenges the validity of the Licensed Marks or BA’s ownership of the Licensed Marks. Upon termination under this Section 6(a), all rights granted herein will cease and terminate without prior notice or legal action. Licensee acknowledges that its rights to continue use of the Licensed Marks may be terminated if it engages in any unauthorized use of or references to the Licensed Marks and that BA will be irreparably injured by any such unauthorized use of the Licensed Marks. TERMINATION WITH NOTICE. BA may terminate this Agreement upon thirty (30) days written notice to Licensee if Licensee fails to comply with the terms and conditions of this Agreement, including failure to comply with the Standards and any changes or modifications thereof. DUTIES UPON TERMINATION. Upon termination of this Agreement, Licensee will immediately destroy and withdraw any advertising and promotional materials, product labels, product packaging and any other materials bearing the Licensed Marks, and Licensee will immediately cease and desist from all further use of the same, including any use of any imitation, likeness or variation of the Licensed Marks. BA WARRANTIES. BA warrants and represents that: (i) it is free to enter into this Agreement; (ii) to its knowledge, BA is the owner of all right and title in and to the Licensed Marks, and (iii) to its knowledge, use of the Licensed Marks as provided herein will not infringe the trademark, service mark, certification mark, copyright or other proprietary rights of any person, provided that BA does not represent or warrant that the Licensed Marks are available for registration and/or use in any specific country where BA has not registered or used it. TO THE EXTENT PERMITTED BY LAW, BA DISCLAIMS ALL OTHER WARRANTIES, EXPRESS, STATUTORY, OR IMPLIED RELATIVE TO THE LICENSED MARKS, INCLUDING WITHOUT LIMITATION ANY FURTHER WARRANTY OF TITLE OR NONINFRINGEMENT. INDEMNITY. Licensee agrees to defend, indemnify and hold BA and its respective representatives, employees, officers, directors and agents harmless against all claims, suits, costs, damages, judgments, attorney fees, settlements or expenses incurred caused by, arising from or relating to any breach of this Agreement by Licensee or otherwise arising out of or relating to Licensee’s use of the Licensed Marks. AMENDMENT/ENTIRE AGREEMENT. This Agreement may be amended or supplemented by BA upon written notice to Licensee. This Agreement will be binding upon and inure to the benefit of the BA and its successors and assigns. Licensee may not assign this Agreement without BA’s prior written consent. This Agreement, including the referenced Standards, as amended or modified, constitutes the entire agreement between the parties and supersedes all earlier agreements. WAIVER. No term or provision will be considered waived, and no breach excused, regardless of conduct, unless such waiver or consent is in writing. No such consent or waiver will constitute a consent, waiver, or excuse of any other, different, or subsequent breach. NOTICE. Any notice, demand or other communication required or permitted to be given under this Agreement will be in writing and addressed to their addressee at their address stated hereunder or such addresses as the parties may specify from time to time by written notice. Notice may be delivered by hand, by confirmed email, or by registered mail, return receipt requested. Such notice will be treated as received upon the earlier of actual receipt or five (5) days after posting. RELATIONSHIP OF THE PARTIES. BA and Licensee are independent contractors. Nothing contained in this Agreement constitutes a partnership or joint venture between the parties or creates any agency relationship for any purpose. COUNTERPARTS. This Agreement may be executed simultaneously in two or more counterparts, each of which will be deemed an original, but all of which together will constitute one and the same document. FURTHER ASSURANCES. The parties agree to execute any other documents and do any other acts to carry out the purposes and intent of this Agreement. GOVERNING LAW. This Agreement will be governed by the laws of the State of Colorado. Exclusive venue and jurisdiction for any dispute arising out of or concerning this Agreement is in the Boulder District Court and in the U.S. District Court for the District of Colorado, as appropriate. AUTHORITY OF LICENSEE REPRESENTATIVE OR AGENT. Licensee warrants that the person signing this Agreement has the authority to bind Licensee in all respects for its performance under the Agreement. IN WITNESS WHEREOF, the Parties have entered into this Agreement as of the Effective Date and have caused this Agreement to be executed by their duly authorized officers. I understand that checking this box constitutes a legal signature confirming that I acknowledge and agree to the above License Agreement. 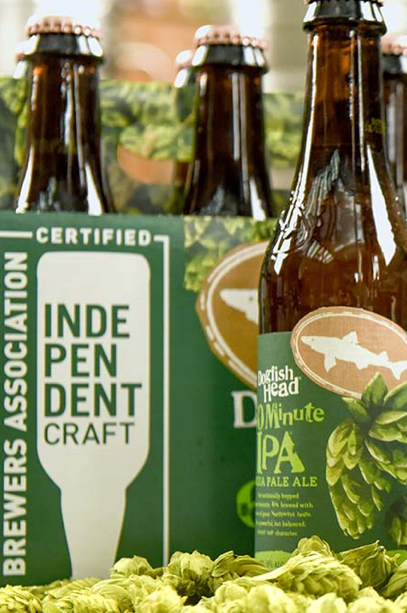 The independent craft brewer seal is a certification mark confirming your brewery has a valid TTB Brewer’s Notice and meets the Brewers Association’s definition of a U.S. craft brewer. The supporter seal is a logo that businesses and organizations can use to declare their support for U.S craft brewers. Eligible breweries sign the brewery license agreement, then download the independent craft brewer seal. Sign the supporter license agreement, then download the supporter seal. 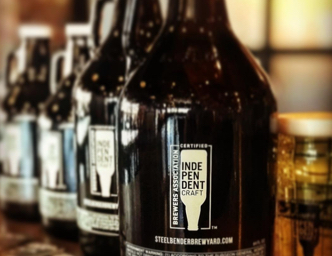 Add the independent craft brewer seal to your bottles, cans, growlers, brewery entrance, websites, social channels, marketing, merchandise, staff outfits, and advertising. 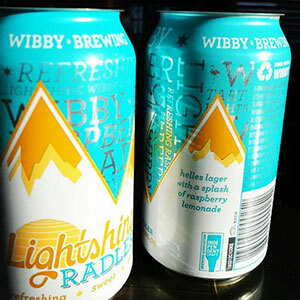 A licensed brewery can also provide the seal to a vendor for the specific use of adding the seal to marketing materials, such as t-shirts or coasters, that also display the brewery’s logo. Add the supporter seal wherever you want to show support for U.S. craft breweries (minus the restriction below). Marketplace examples include the entrance of your retail establishment, your restaurant menu, beer festival signs, merchandise and advertisting. 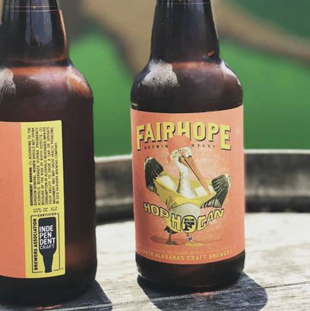 Supporters may be asked by U.S. craft breweries to use the brewery seal. 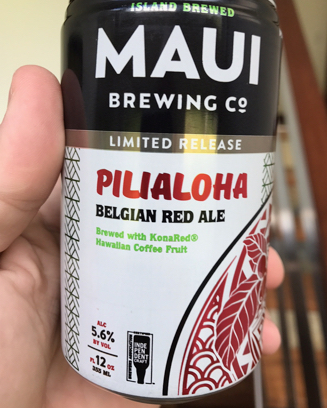 This is allowed in connection to that specific brewery’s brand name and beers. 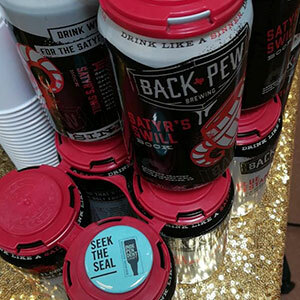 Breweries can use the seal on anything that represents their brewery brand and beers, which includes beer packaging, marketing materials, and advertising. 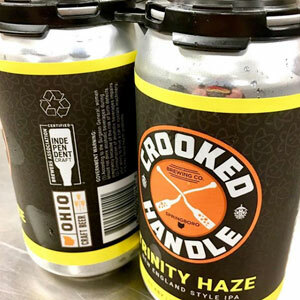 The certification mark appearing alone and not specifically associated with a licensed brewery’s name or brewery’s beer is prohibited. See license agreement. A supporter licensee cannot use the supporter seal on any labeling or packaging of products. See license agreement. 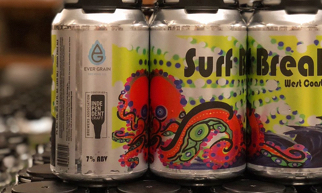 Breweries can use these art files. Sign the brewery license agreement to get access to the independent craft brewer seal as well as POS files, which can be used in conjunction with the brewer seal. Supporters can use these art files. Sign the supporter license agreement to get access to the supporter seal as well as POS files, which can be used in conjunction with the supporter seal. Seal art is free. Brewers Association membership is not required. 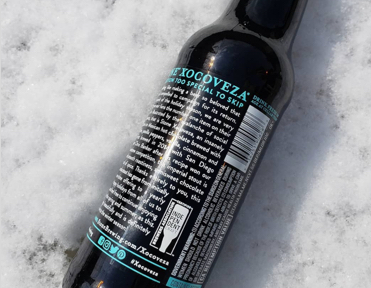 Once you’ve incorporated the seal into your brewery branding and marketing, share images with the tag #SeekTheSeal.